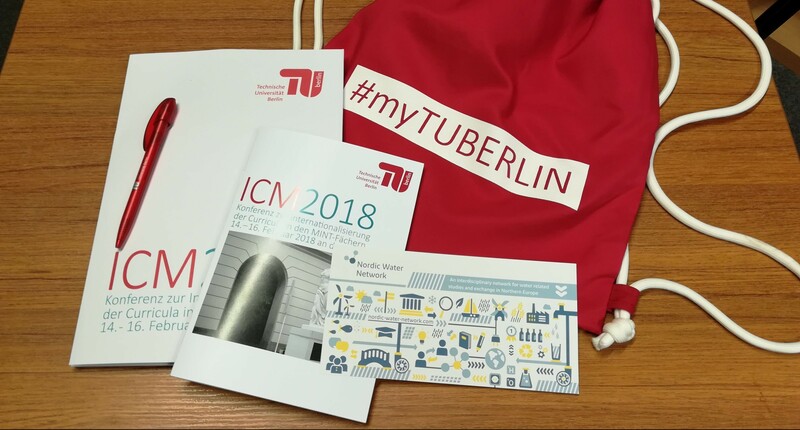 From February 14th to 16th 2018 the Technische Universität Berlin (TUB) held a conference on “Internationalising the Curricula in STEM Subjects” (ICM 2018). STEM stands for science, technology, engineering and mathematics. More than 80 percent of TUB’s 35,000 students are enrolled in one of those subjects. The conference was aiming to provide an opportunity for all attendees to share ideas with one another to frame successful strategies and concepts as well as innovative measures for the internationalisation of STEM subjects and to discuss the challenges appearing in this process. With its interdisciplinary and international profile, organising scientific exchange across countries, the Nordic Water Network (NWN) participated at the conference with a poster explaining the evolution of our Summer School “Flow Measurement Methods” which has been optimised ever since its launch in 2015. The focus lay on presenting the teaching and examination methods as well as the organisational structuring and implementation of the network within the TUB. Angela Ittel, the Vice President for International Relations and Teacher Education at TUB stated that the internationalisation of curricula for natural science and technical subjects is of particular importance, as many research questions can only be addressed in an international context and the demand for internationally-educated STEM graduates is growing in the globalised economy. It has been the main purpose of the NWN to contribute to those attempts and, consequently, we highly welcome any effort made to accelerate the internationlisation of academic teaching.